Saute onion and red peppers in butter in skillet. In separate pan, combine whipping cream, half & half, chicken broth, salt & pepper to taste. Add peppers and onions to mixture. Bring to a boil. Thicken with corn starch. Puree in blender. 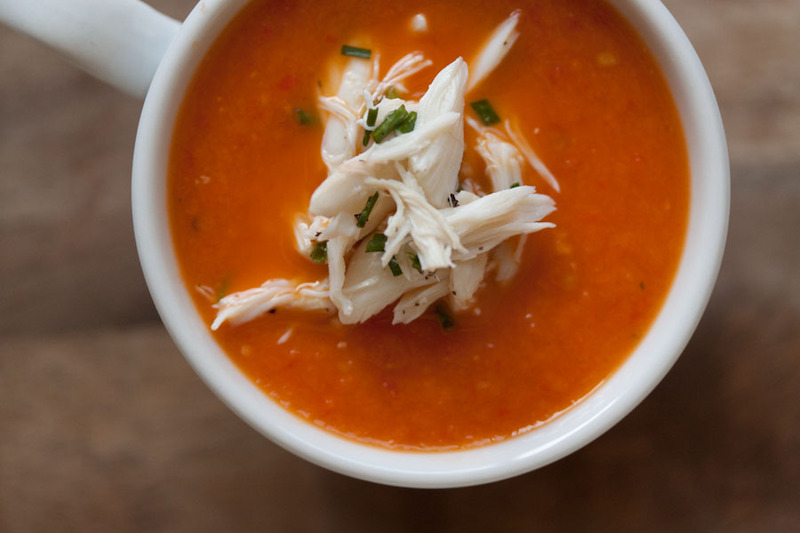 Add soup to bowl and top with desired amount of fresh lump crab meat.